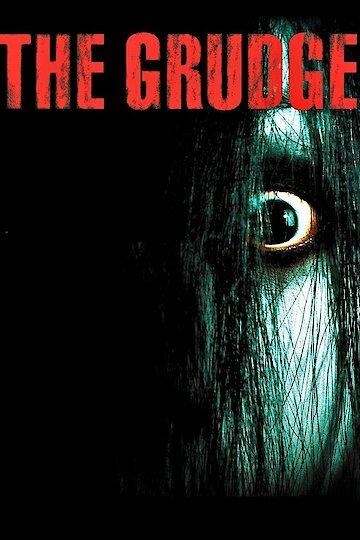 The Grudge is an American horror film about the paranormal. The Grudge is based on a irreversible, mysterious, unending curse that takes over a person and makes them extremely angry before possessing them to take their own life. After this cycle ends, the curse finds another victim and repeats itself all over again in an endless chain. The Grudge is actually two people, and was started by a brutal murder. In Tokyo, the Saeki family lived a happy life in a suburban style neighborhood. The housewife, Kayako had fallen in love with the son's teacher Peter, even though they hadn't even began a relationship. She began obsessively writing about him in her diary, and one day her husband, Takeo discovered her diary and his curiosity got the best of him. In a jealous rage, he believed that he shared the same feelings as her and the affair was real, and plotted to murder his family. He killed Kayako by breaking her neck, he drowned his son Toshio, and even the family's beloved pet cat. Takeo hides their bodies in two places he thought no one would ever look before he hung himself. Unexpectedly, Peter comes by to speak with Kayako, but he finds her body and retreats before committing suicide the next day. Due to their unfinished business, the family arise with a great rage and become ghosts. A few years later, a new American family moves into the Saeki household. Although the husband, Matthew is thrilled about their new home, his wife Jennifer and mother, Emma notice odd things and feel extreme discomfort. Jennifer is quickly taken away with the curse, and Matthew comes home to find the house destroyed, Emma deeply upset, and Jennifer dying. Matthew and Jennifer are killed by Toshio, and he places a note saying that Jennifer has gone for a walk since Emma doesn't know of their fate. The next day, a care worker named Yoko stops by to see Emma, although Yoko hears strange sounds and goes to investigate, only to be dragged up into the attic by the spirit of Kayako. The disappearance of Yoko does not go unnoticed, and her employer sends another employee, Karen to investigate the house and care for Emma. Once she reaches her destination, she finds Emma and shockingly sees Toshio and Mar perfectly clear, and taped up in the closet. She calls her employer for help, and then Kayako swoops in and kills Emma and her both. When her employer finally arrives, he finds Emma dead and Karen in a state of pure shock. They call the police, and arrives Detective Nakagawa. When the murder actually occurred, Detective Nakagawa admits that three of his co-workers were all consumed of the curse when they investigated the case. Later, after gruesome scenes with Kayako, the employer, Alex, Yoko, and Susan are dead, and Karen tells her boyfriend of the curse she now has. Detective Nakagawa attempts to burn down the house, but fails when Toshio lures him to the bath tub and drowns him. Karen returns to the house since she learns that her boyfriend has gone there to search for her. She experiences a flashback of Peter finding Kayako's body, then, she finds Doug and tries to flee to a different location with him. However, the Kayako has other plans for her and makes her kill her boyfriend, and she even manages to ignite the house with a lighter she finds. Just as Kayako is about to strike her, she is whisked to the house due to the fire, but she finds out the house is still standing. Visiting her boyfriend's body, she learns that she still has the curse. The Grudge is currently available to watch and stream, download, buy on demand at HBO NOW, Amazon, Vudu, Google Play, FandangoNow, iTunes, YouTube VOD online.